I'm joining up with some fantastic bloggers to celebrate the 100th anniversary of the Family Home Evening program. We all prepared FHE lessons based on talks from the latest General Conference. 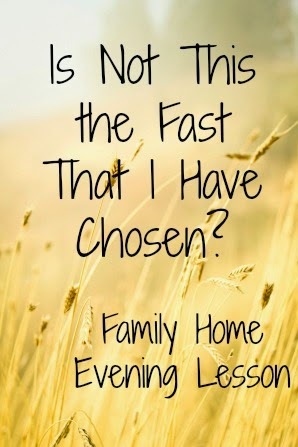 I chose to prepare a Family Home Evening lesson on President Eyring's talk on fasting and fast offerings, because I know it is an area in which I could really use encouragement and something I'd like my children to understand more fully. Download this scripture memory coloring page here. 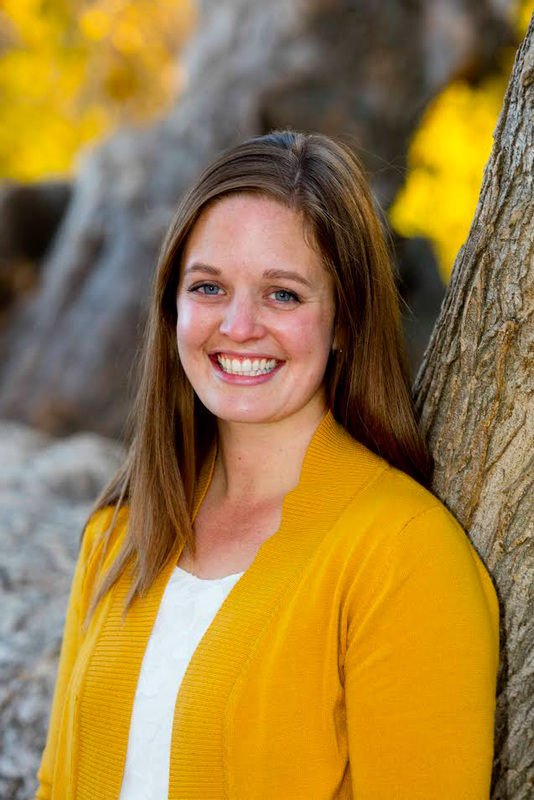 Share the story of Sister Turay from President Eyring's talk. For smaller children, you may want to tell the story in your own words. "Sister Abie Turay, lives in Sierra Leone. A civil war began in 1991. It ravaged the country for years. Sierra Leone was already one of the poorest countries in the world. “During the war, it was unclear who [controlled] the country—banks … closed, government offices were shuttered, police forces [were ineffective against rebel forces], … and there was chaos, killing and sorrow. Tens of thousands of people lost their lives and more than two million people were forced from their homes to avoid the slaughter. Even in such times, The Church of Jesus Christ of Latter-day Saints grew. One of the first branches was organized in the city where Sister Turay lived. Her husband was the first branch president. He served as a district president during the civil war. “When guests visit Sister Turay’s home [now], she loves to show them two [treasures] from the war: a blue-and-white striped shirt [she got] from a bale of used clothing [given by members of the Church] and a blanket, now worn and riddled with holes.”7She says, “This shirt is the first … clothing I [received]. … I used to wear it to go to work—it was so good. [It made me feel so beautiful.] I didn’t have other clothes. The visitor closed Sister Turay’s scriptures and thought, as he stood with this faithful African mother, that he was on sacred ground. How does hearing Sister Turay's story make you feel? Take a moment and imagine how her life is different from yours. What differences can you think of? Why is it important for us to pay fast offerings? Watch this video about how fast offerings are used. Share your testimony or share a personal story about when you or a loved one were blessed by fasting and/or fast offerings. 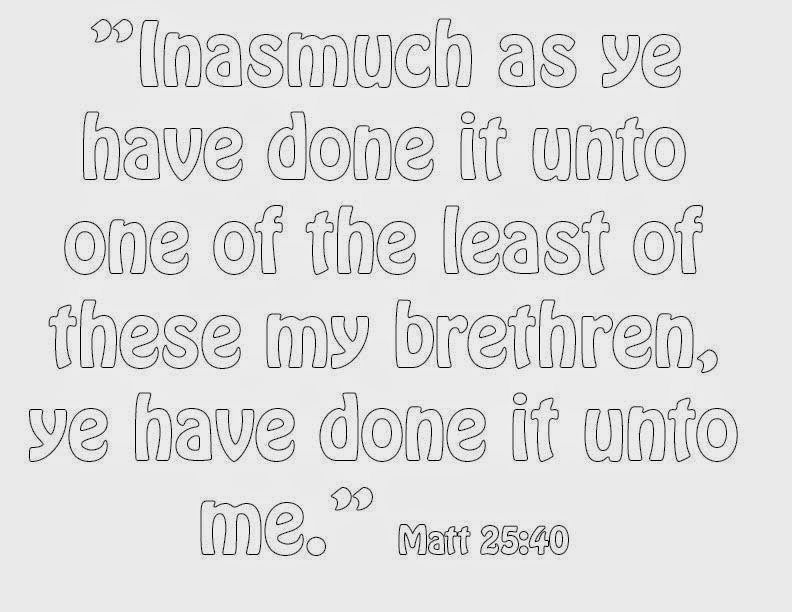 Read Matt 25:40 and discuss how it applies to fasting and fast offerings. Read Isaiah 58:6–11 and make a list of all the promises and blessings the Lord gives us when we pay our tithing. (Discuss and explain the imagery as you go). Where do our fast offerings go?